The next time you enjoy a refreshing drink on a sweltering day, take a moment to appreciate all the safeguards in place protecting that pure drinking water. 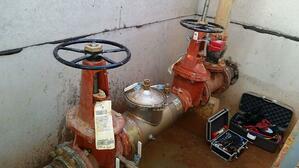 Backflow testers, working behind the scenes, play a relatively unknown, but key role in the process. These individuals test the backflow assemblies that prevent contaminated water from flowing back into the public water system. Non-residential property owners and public water system purveyors contact certified backflow testers to fulfill their yearly testing obligations. But most citizens aren’t that familiar with the process unless they see a tester in action and ask them about their responsibilities. Through their analysis of backflow devices, testers identify potential or existing problems that could lead to a potential cross connection. Successful backflow testers combine technical and regulatory knowledge to test assemblies that protect drinking water. Scot McEwen and Chris Sutton, who operate backflow testing businesses, offered reflections about the challenges facing their industry. Both work long hours and must deal with diverse equipment and locations. They inspect sites ranging from below-ground vaults to hot boiler rooms, institutions with multiple assemblies and above-ground insulated enclosures. McEwen owns Backflow Engineering Group, Lawrenceville, Georgia. He spends long days doing testing and repair, surveying facilities and generating reports. In addition, he’s a trainer and presenter at state and national conferences. As a small business owner with one administrative employee, he often starts his day at 5 a.m. First, he heads to the office to work on paperwork, then goes out into the field. He often doesn’t get home until 8 p.m. But McEwen isn’t complaining. He enjoys working with the piping, backflow preventers and hydraulics. McEwen became the first Georgia tester certified in 1985. He’s proud to report that Dr. Richard Palmer, a leader in the industry, trained him. Palmer taught the first class for the original University of Florida Center for Training Research and Education for Environmental Occupations in Gainesville, Fla.
McEwen is a certified repair specialist, cross-connection-control surveyor and Georgia Class II non-restricted master plumber. He provides installation and testing and files reports with a jurisdiction’s water purveyor. He works exclusively in Georgia. Sutton owns Backflows Northwest, a licensed and insured backflow test and repair company with 17 employees. The firm provides services in the State of Washington. Sutton often speaks at conferences on industry-related issues. 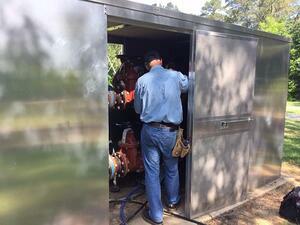 On a perfect day, Sutton and his team would inspect 60 – 80 backflows in exterior entry enclosures. In the industry, inspectors typically test 20 a day and a lot hit 40 devices a day. Some teams conduct 80 inspections in one day, but this is probably in institutional properties, such as hospitals, with hundreds of assemblies in one facility. In addition, they probably aren’t inspecting backflow preventers in vaults. “In an ideal day, inspections are tight and scheduled closely together,” he said. 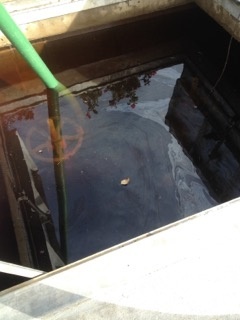 Typically, his customers are property owners who receive a letter from a water department telling them they must obtain an inspection of their backflow preventers. Sometimes cities will hire a few testers to inspect properties. Each day, backflow testers face new challenges on the job. During their inspection season, they want to visit as many properties as possible to maximize their time. They’ll head into flooded vaults, climb ladders inside buildings or head into outdoor enclosures. With a practiced eye, testers inspect a variety of backflow assemblies to make sure they’re in good working order. At each stop, they’re dealing with a potential for a cross connection. In their role, these testers provide services that protect public water supplies. For Sutton and McEwen, the work is challenging, yet rewarding. Even without flooding, inspectors must climb down ladders to reach the equipment. They could fall and hurt themselves. Sutton said one of his employees, who was wearing a hard hat, did fall. Luckily, he wasn’t seriously injured. Many municipalities don’t consider backflow vaults as permit-required confined spaces. Those rules would require equipment to test for hazardous atmospheric conditions and the presence of an attendant and entry supervisor. One worker would be hooked up to a harness and use an oxygen sensor to check for bad air. If a tester discovers unacceptable results, a blower displaces the air to remove contaminants. Because of this extensive protocol, some backflow testing firms may refuse to accept jobs with vaults or they’ll charge more money to inspect them. Other one-person companies may simply conduct tests without taking all the extra precautions. Consider the challenges of a vault inspection versus an above-enclosure inspection. When following Occupational Safety and Health Administration protocol, a confined space vault inspection requires a team of three bringing extensive equipment in a large vehicle or truck. For an above-enclosure inspection, one person can drive a small, energy-efficient vehicle and quickly move from one site to another. See Backflow Preventers in Utility Vaults from a Tester’s Point of View. OSHA reports that there are more than 11,000 confined space injuries each year. According to data collected by the U.S. Department of Labor, fatal injuries in confined spaces claim the lives of 92 individuals per year. (This data reflects all confined entry projects.) 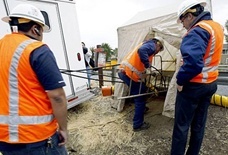 OSHA doesn’t consider aboveground enclosures as confined spaces. Contains any other recognized serious safety or health hazards." 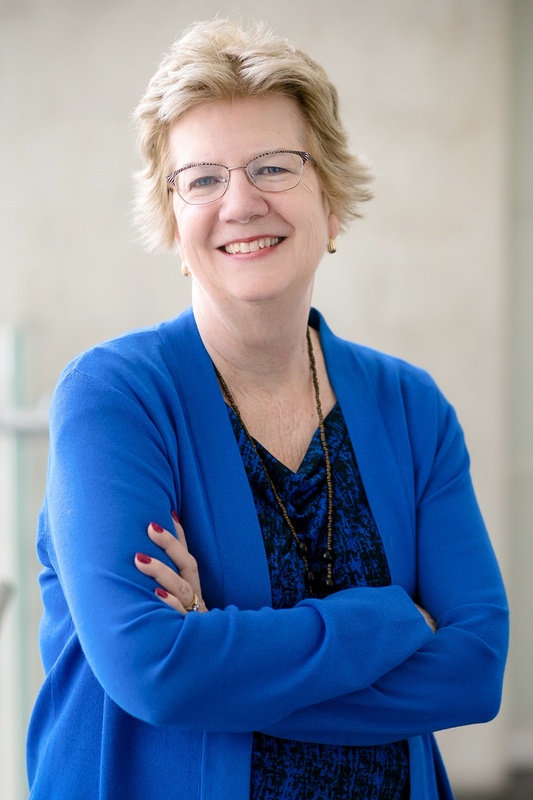 Sutton notes that backflow-preventer testers and cross-connection-control professionals bring different concerns to the table. Engineers write specifications based on what the professionals seek and the testers must comply. “The state and safety organizations care about oxygen or fall hazard issues. The backflow tester cares the most about a clean and easy-to-test environment. Above enclosures meet all those needs,” said Sutton. Property owners with new construction may select above-ground enclosures. They must go this route, if their hazard level requires reduced pressure zone devices which can’t be installed below grade. For property owners who are on the fence regarding vaults or above-ground enclosures, here’s another consideration. States typically require annual checks of these assemblies and backflow testers prefer above-ground enclosures. Testing firms also may charge more for checking vaults. If the hazard classification changes from low to high hazard, the property owner will need to move their backflow assemblies to an above-ground location. For some property owners, it will cost them $60,000 to $100,000 to retrofit their facility and move it above ground, said Sutton. Read more about retrofits and other problems with vaults here. Clients with above-ground backflow assemblies benefit in other, less obvious ways. Sutton says testers will spend more time checking out the assemblies and bringing them up to code, if they are in accessible above-ground enclosures. And here’s the dark side. Some testers in a hurry may drive by the vaults and make up results. They don’t want to spend the time pumping out flooded vaults and dealing with gas dispersal, snakes and other unpleasant discoveries. In other cases, testers may skip on life safety precautions so they can make more calls. OSHA considers below-grade vaults as confined spaces requiring testers and maintenance personnel to take extra precautions when working in them. Yet many municipalities do not classify them in this way. As a result, testers will follow their own protocols when entering these vaults. Some may not take all the precautions they should when entering vaults. Others will charge more for vault inspections. With more education, public water system owners may see the inherent risks of flood-prone vaults. When they prefer above-grade solutions, then backflow testers will benefit. The potential for cross contamination to public water supplies also will be reduced.